Winter is upon us. Not Christmas. Not New Year. But Winter, grinding away the days. There was more snow this week, and more predicted for next week. It’s cold outside, baby, and all I want to do is curl up on the sofa in a blanket and watch the world go by. One of the best things to eat when this kind of mood strikes has got to be a fruit crumble. Especially if you make enough for 8, then eat it a deux for dinner in its entirety, which is how we spent our frenetic Saturday night in the city that never sleeps. 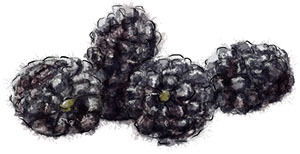 When I was little my Mum would take my sister and I to the local University campus, to collect blackberries from the brambles that used the car-park walls as their trellis. We’d return home, triumphant foragers, purple-faced and black-fingered, to feast upon what were surely buckets and buckets of fruit. Enough to set up a blackberry business, most likely. It was always a shock when my Mum would tip our collection into the sink for washing and we’d discover that we had enough to fill half a tea cup. This is how I discovered that frozen berries also make great crumbles (apart from strawberries which go chewy and sickly sweet. It’s bad enough that one of us has tried this for the rest of us). I sometimes make these in individual ramekins for parties, in which case, they take less time to cook – about 20 rather than 25 mins. Keep a bit of an eye on them. This entry was posted in The Monday Treat and tagged apple, blackberry, crumble, dessert, vegetarian. Bookmark the permalink. this sounds so goood!!! any other berries that would work besides blackberries? the ones in the store today did not look good, but the blueberries/cherries/raspberries/strawberres did. Raspberry apple crumble and blueberry apple crumble are both favorites. I do a jumble berry, which is a bag of mixed berries with the strawberries picked out. I love pear and a touch of cinnamon with maybe a ginger crumble, peaches and blueberries, apples on their own, plums, apricots and raspberries … I’ve never made cherry crumble because of all the de-stoning – well, that and the fact that I usually eat cherries faster than i could cook with them. But I should think it would be good. Hope you enjoy whatever you pick to make! Crumble is my all time favourite dessert! Especially they bit around the edges of the dish that gets all chewy & gooey……………….yum! Oh and don’t forget plain old apple crumble, always a winner at our house!